Place the banana, quinoa, chia, eggs, vanilla, baking powder, sugar, lemon rind, flour and blueberries in a large bowl and mix to combine. Heat a large non-stick frying pan over low heat and brush with a little of the oil. In batches, cook ¼-cups of the pancake mixture for 4 minutes each side or until golden and cooked through, adding the remaining oil as needed. 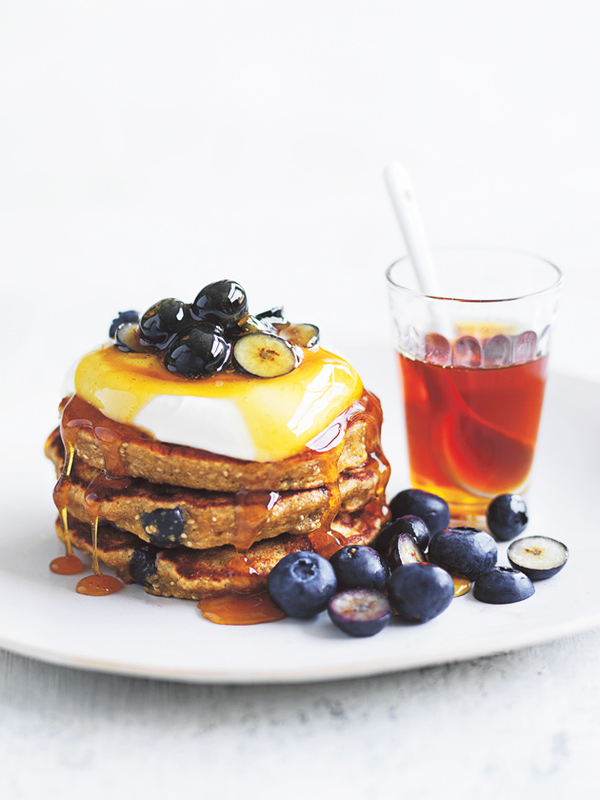 Divide the pancakes between plates and top with yoghurt, extra blueberries and maple syrup to serve. Serves 4.